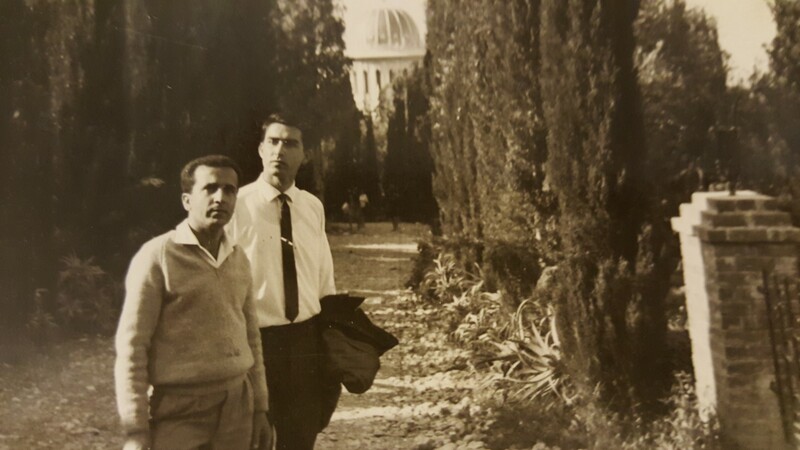 My father, Riyad Delshad, right, visiting Haifa with a friend. I lost my father to cancer in August. He was 75. His story isn’t a Hollywood rags-to-riches tale of an immigrant making it big in America; he died with few possessions. But his death taught me a lot about the meaning of home and what it means to finally find comfort in yourself. My father spent his early life floating around the Middle East, without an anchor and without a place to call home. He was uprooted from his family home in Haifa in 1948. His parents relied on the support of charities to get staple items like flour and sugar after losing their wealth from their successful jewelry business. They died within years of each other, and my father was left an orphan as a teenager. He used to tell me stories of how he went fishing as a teen just to be able to eat. It was a sudden and dramatic change of circumstances for a man who grew up playing with diamonds as if they were marbles on the floor of his father’s jewelry store. Years later, he ended up in Egypt, where he met my mother. After spending more than a decade there as a successful business owner, the “American Dream” came calling, and my dad, desperate to make it in the world, left for the U.S. in the 1980s. It’s a common beginning to many immigrant stories. It seems fitting that he ended up working in the hotel industry. How many times did someone check into his little hotel, looking for a place to call home, even if just for one night? We moved back to Egypt after I was born, but my father stayed behind in America for work. A few years later, my mother, siblings and I returned to the U.S. and eventually settled in Florida, where my dad managed a new hotel. We moved again and again, and three more times. We moved a lot. It should come as no surprise that I, too, never felt like I had a permanent sense of “home” after moving so much. Couple that with being the child of two Middle Eastern immigrants plopped in the middle of Nowhere, Florida, and I was one confused kid. As I grew older, I became more and more aware of how different I was from my classmates. I never felt like I fit in anywhere we lived. I went to school with pita bread and Nutella sandwiches and grape leaves for lunch, but what I really wanted were Pizza Lunchables and potato chips. I always knew I had show and tell in the bag, because nothing can beat an exotic-looking prayer rug or a replica bust of Nefertiti. While my high school friends would go to the beach over the summer, I got dragged to Cairo to visit relatives and stare at the Pyramids, unfazed. 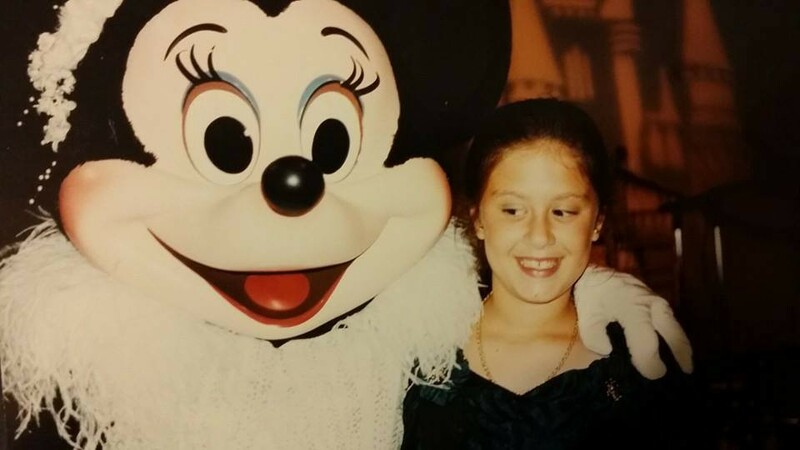 Left: I wasn’t so sure about that Minnie Mouse character. 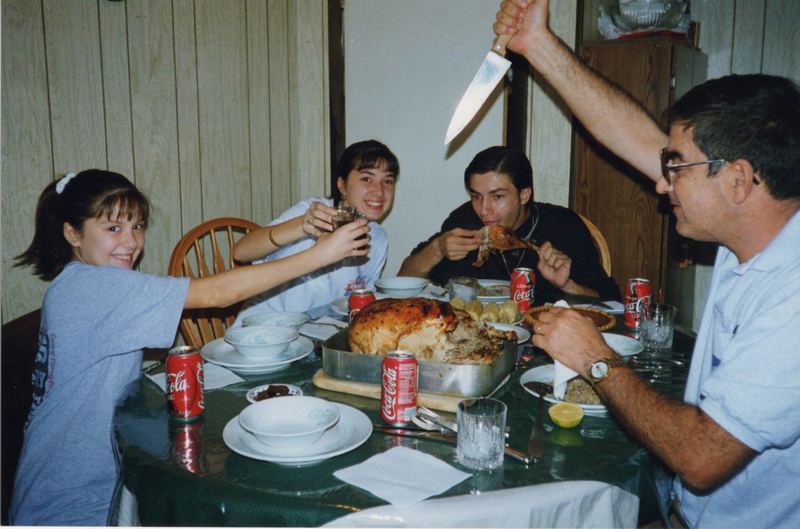 Right: A particularly comedic Thanksgiving in the Delshad household. I was the only American-born child in my immediate family, but I still felt a sense of otherness compared to my whiter-looking school friends. I had parents who spoke English with an accent. I wasn’t allowed to go to the movies on a Friday night. Sleepovers — well, I didn’t even bother asking. When I visited Egypt, I spoke Arabic with an American accent; I didn’t quite fit in there, either. It wasn’t until I approached college that I realized not fitting in one place was perfectly OK. I finally met people like me, other Arab Americans who also weren’t allowed to go to the movies on a Friday night. We watched fireworks together on the 4th of July and and got henna drawn on our hands during wedding parties. We lived in both worlds, and that was perfectly alright. I finally felt like I belonged, and what a relief it was. Ten years later, I can look back at those formative years and see my story isn’t unlike any other story of a child growing up in an immigrant family. My family, seeking a better life, escaped the odds and tried to make it elsewhere. It’s made me work harder at everything that I do. There’s a running joke that immigrant parents are extra hard on their children and accept nothing short of good grades. There’s a reason for that: they want you to have a better life than they did. I know my father wanted that for me. Earlier this year, my father was diagnosed with lung cancer. He knew he was dying and accepted it. He began purging everything he thought was unnecessary and kept few things, choosing to surround himself with books and old photos in his modest apartment. As his death drew near, my brother and I went to his place to begin cleaning and packing away his possessions. As I walked from the bedroom to the living room, a little flash of red caught my eye among the sea of oxygen tank wires. It was an American flag. Specifically, it was the flag he received at his U.S. naturalization ceremony years earlier. It sat perched up against the wall and couldn’t have been more than one-foot tall. What does it mean for a dying man to keep a flag given to him years ago? It means it mattered. It means he found his anchor, even if just for a little while. It means he finally found home. Carmel Delshad is a writer and a producer at AJ+.